The Professor. If you are even remotely involved in the world of snowmobiling and live under a rock—you without a doubt know who “The Professor” is. Bret Rasmussen is one of the most influential and respected individuals in the snowmobile industry—respected and admired for a variety of reasons. Rasmussen was an original organizer for the Rocky Mountain States HillClimb Association (RMSHA) circuit, and he is a six-time RMSHA King of the Hill at the World Championship in Jackson Hole, Wyoming. 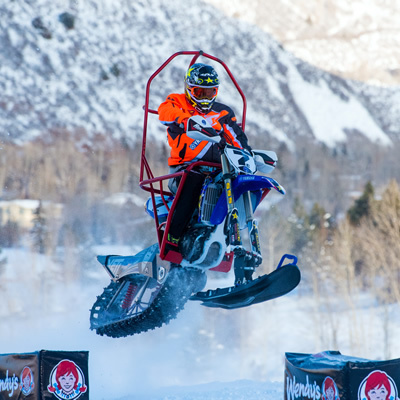 Most folks first admired his skill and finesse in snowmobile films—such as Schooled, which helped to showcase fundamental skills for the backcountry mountain rider. Some have been fortunate enough to join him for some one-on-one time at one of his Ride Rasmussen Style clinics. 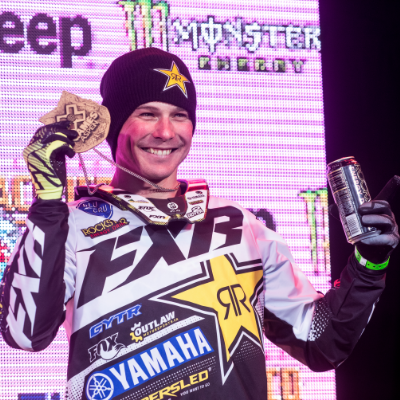 He is one of the greatest influences in the world of snowmobiles. At age 10, Rasmussen fondly recollects his excitement when his father brought home their first snowmobile. Riding around the family farm on his snowmobile lasted only a couple of years before he and his father started embarking on new adventures in the mountains around their home in Preston, Idaho. 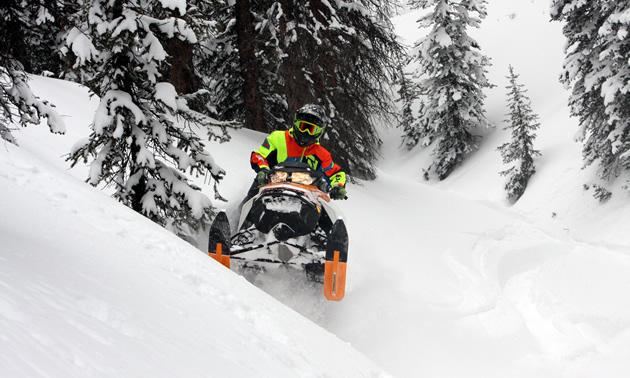 The snowmobiles in the late ’60s were not technologically equipped to deal with the deep blower pow of Idaho so they had to choose their adventures wisely. Following in his father’s footsteps, Rasmussen owned snowmobile dealerships over the years while maintaining a family farm. Family is a key component in Rasmussen’s life. As a husband, father of three and grandfather to three beautiful grandchildren, he knows that his family is by far the greatest treasure and blessing in his life. It isn’t easy balancing work, family and fun, but somehow the Professor has it all figured out. It takes careful planning and organization, especially in the summer months. Why does he work so hard? What fuels him? It is a labour of love, for certain. Six days a week you’ll find Rasmussen mentoring riders, helping them to advance in skill and technique. There always is that one rider whose goal is to get Rasmussen stuck. Ultimately, they end up either upside down in a tree well or creatively stuck with a sheepish smile upon their faces. Ride Rasmussen Style clinics were originally focused in the United States and Canada, with his main tenure located in West Yellowstone a decade ago. Rasmussen tapped into the exact formula needed to help riders of all ages, experience levels and skill sets advance. His style of mentorship is focused primarily on technique. Technique is the fundamental cornerstone for developing backcountry skill. According to Rasmussen, riders who are on the lighter side—including women are unable to muscle their snowmobiles around like some brawny men—need to ride using throttle control and the geometrical balance of their snowmobiles to navigate technical terrain rather than trying to throw their sleds around with sheer muscle power. 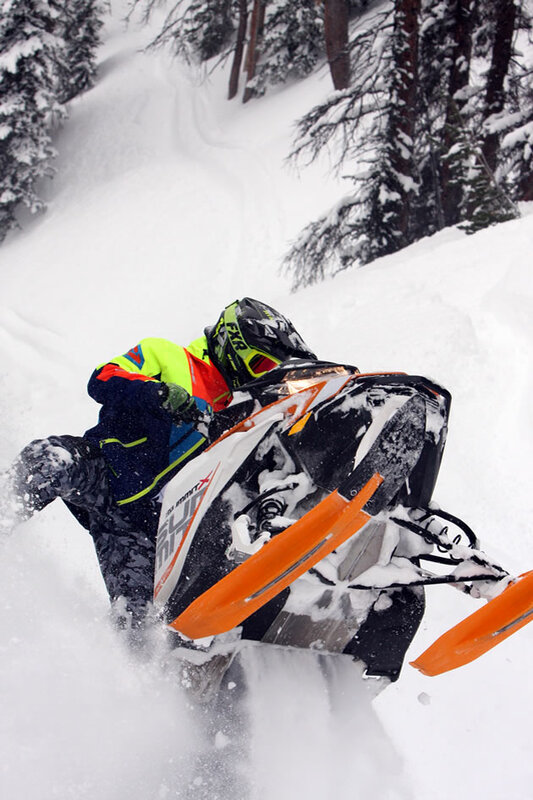 When riders learn how to work with their sleds they can go much farther for far longer than those who rely on sheer physical strength. Rasmussen’s style is also a rewarding component to his mentorship. Some riders have left the sport of snowmobiling simply because they have become soured and bored with snowmobiling as they knew it. Riding with greater skill and technique entices riders back into the game, because they know now the terrain choices are limitless, allowing for greater challenge and excitement. With Rasmussen, new riders start off on the right foot, or should I say, wrong foot forward. Setting new riders up for success keeps them engaged in the sport again, thus growing numbers exponentially. New riders are able to develop skill rather than bad habits that have to be undone. Bad habits, such as relying upon a mountain bar instead of counter steering on edge, can bring skill advancement to an abrupt halt. Handle bars? They do not need to be high as was the hype for many seasons. High handlebars actually detract from the leverage needed when laying the sled over in an off-camber situation, thus limiting control and navigation. The Professor knows his stuff. Having spent time with Rasmussen in 2012 at one of his clinics, I know firsthand how confidence-inspiring he can be. When the mechanics of technique are broken down into a way that is easy to execute, students have an easier time succeeding—much to my husband’s disdain. He was right; in the two days I spent with the Professor, everything started clicking and falling into place. Step by step, Rasmussen broke down what was needed to bulldog a sled downhill or to avoid a cliff or an obstacle by walking the sled over on edge. I would have to agree with the Professor on that one! Looking forward into the 2017 season, Rasmussen has an intense respect and admiration for the new Ski-Doo line up, particularly the 2017 Gen4 850, which has taken snowmobiles to a new level of awesome. Rasmussen knows that this machine is like nothing the industry has seen before. According to Rasmussen, the new Gen4 850 is an entirely new design from the ground up. This is something rarely seen from manufacturers. Throttle control is imperative with this responsive chassis. 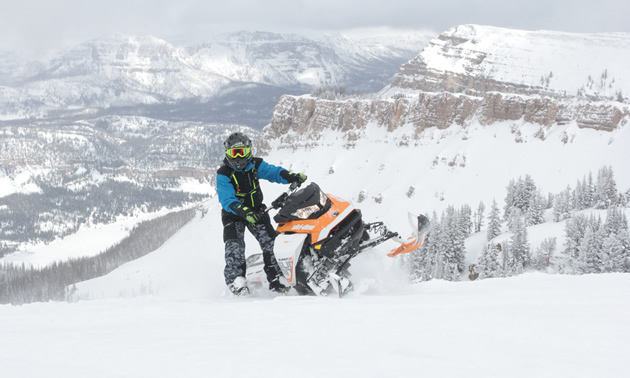 Less work, more horsepower and more fun sound like a winning combination for Ski-Doo! Be sure to watch for Bret Rasmussen and his Ride Rasmussen Style team with clinics across the United States, Canada, Sweden and Russia. Specialized clinics—including a turbo clinic, a women’s clinic featuring Ashley Chaffin and couple’s clinics—are all on the agenda. Something for everyone is how Ride Rasmussen Style rolls!